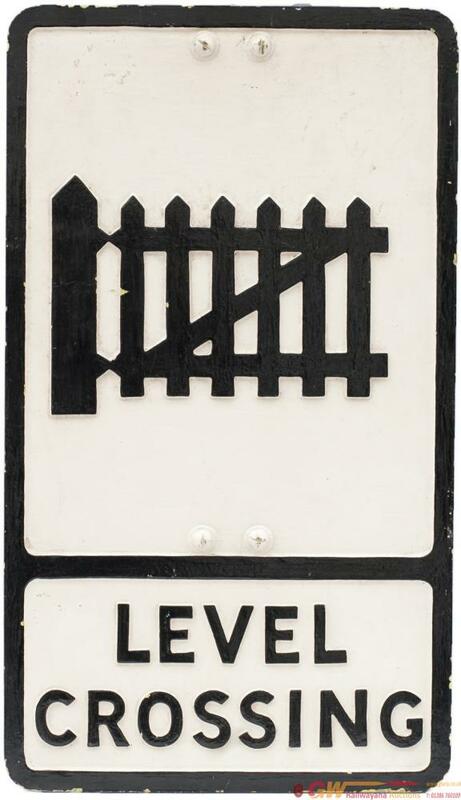 Motoring road sign LEVEL CROSSING (gated). Cast aluminium complete with two original mounting brackets. Measures 21in x 12in.